Our range of products include aadhar pre printed pvc card( pack of 500) and pvc smart chip card. 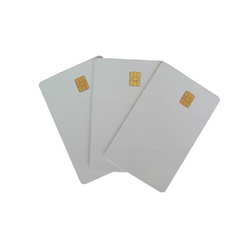 PVC Smart chip card for thermal -- in 32K , 64K memroy. Looking for Plastic Cards ?